I understand your dilemma. There are ton of divorce attorneys in Las Vegas; which one should you choose? Most people only go through a divorce but once or twice in their lives, and have little experience when it comes to dealing with it. The one thing you want to avoid is hiring the wrong attorney and have to switch as this increases the overall cost of your divorce. I aim to give you good general advice and not just get you to choose me as your divorce attorney. These are guidelines you can follow with any attorney you consider retaining for your divorce. First know what kind of divorce you are getting into. Does your spouse agree to a divorce? Does he or she agree to sign the divorce documents? The answer to this question is important and it will affect what type of attorney you should look for to represent you in your divorce. If you already know that your spouse agrees to sign the divorce papers, you’ll need one kind of divorce attorney, and if your spouse refuses to be reasonable and plans to fight you every step of the way, you’ll need another. What kind of divorce attorney do you need? Of course, you need a divorce attorney whether your spouse signs or not, but they come in different flavors too. To determine which type of lawyer is best for you, you need to first know the answer to the question posed above; will your spouse contest the divorce or not? If your spouse is reasonable and you both agree on all the terms of a divorce on your own, you can file a joint petition divorce. You can bring all your terms to your attorney and he or she will include them in the divorce pleadings. That said, if you have been married for a number of years and own property together, have children together, and pensions are involved, and even if you think you agree on all the terms, it would be a good idea to go through mediation just to be sure that you are treated fairly. There are guidelines a divorce mediator can follow to ensure that you are both getting what is fair for your particular situation, finances, and length of marriage. If your spouse won’t sign the documents, and will contest the divorce once filed, you’ll need a much more aggressive attorney than if your spouse agrees to terms you set together or through divorce mediation. If your spouse is intent on fighting everything to the end, your best option is to find a divorce attorney who specializes in litigation. Before you retain a divorce attorney in Las Vegas, be sure that he or she is open to alternatives, to mediation, rather than choosing a divorce lawyer whose typical strategy is divorce court before he or she has even “felt out” the other side. Whether children and finances are involved or not, it’s always best to try mediation first before you enter litigation, either through an attorney who offers collaborative divorce as a part of his or her divorce practice, or through a certified and licensed non-attorney divorce mediator. Many divorce attorneys in Las Vegas will give an initial consultation at no cost for divorces that are bound to be contested. I do. If your case is very simple and uncontested, you can simply talk to the attorney or his staff on the phone. In such a case, you just need information on divorce procedure rather than legal advice. If your case is to be contested, it’s probably best to meet all three potential attorneys in person. You want to see for yourself how these divorce attorneys look and what demeanor they have. This person might end up representing you in divorce court. You want to be sure that he or she is a proper reflection of you. What is your experience with (contested or uncontested) divorce? Do you specialize in any particular type of divorce (litigated, collaborative, uncontested)? Do you favor collaborative divorces over litigation whenever possible? Do you offer flat fees for uncontested divorce matters? What is your fee if my divorce becomes contested? Typically, a divorce attorney in Las Vegas charges an hourly fee. Usually, a retainer fee is paid and the hourly fee is charged against it. The attorney is bound to deposit any retainer into a trust account and will then take portions of the retainer out as they are earned. How long have you been practicing divorce law in Las Vegas? How often go you go to family court here? How familiar are you with the judges currently sitting on the bench? After interviewing all the lawyers, retain the divorce attorney with whom you feel most comfortable. Be sure that he or she is a highly experienced divorce attorney in Las Vegas. In other words, he or she is a local attorney, not a lawyer who, say, just moved to Las Vegas from Reno. Be sure that he or she regards divorce in the same way you do. For instance, if you favor a joint petition divorce, meaning you want to come to an agreement on all the terms of the divorce and you want both you and your spouse to sign the divorce papers before filing, choose an attorney who will do his or her best to promote mediation if you hit a road block, rather than immediately pushing for court. Of course, if your intent is to go to court to fight for everything you want and you have no intention to compromise, then choose a strong litigator with a good track record for winning tough divorces. Be sure you know all the fees you will be charged up front and what it could cost down the road. If you follow this guidance, you should end up with a professional and highly experienced divorce attorney in Las Vegas, one who cares as much as you do about the outcome of your divorce. File a divorce. This is the cleanest option, the one that permanently dissolves the marriage. Legal separation. 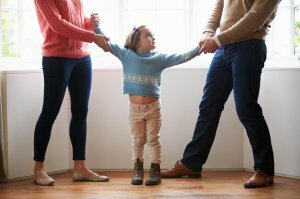 If you object to divorce on moral or other grounds, or rely on your spouse for health insurance, your option is to remain married, but legally separate your assets, as well as address child support and visitation through an action for separate maintenance, as it is formally referred to in Nevada, but commonly known as a legal separation. If you wish to protect yourself from the financial obligations entered into by your spouse after a separation, and you either object to divorce, or you want to take some time before filing one, or one of you must remain on the other’s health insurance, a legal separation is your best option. If a divorce is filed later, the terms of your legal separation can be incorporated into the Decree of Divorce, or you can make new terms. Essentially, a legal separation addresses all issues normally addressed in a divorce. The only thing it doesn’t do is permanently dissolve the marriage. In other words, all of your property is divided and all issues regarding any children you might have with your spouse are addressed, but you are still married. Neither of you can marry anyone else. Possession of community property and debt. Division of community property and debt. How future income will be handled. How future property bought by either party after the separation will be handled. How future debt entered into by either party after the separation will be handled. Relationship to divorce decree and reconciliation. How the parties will file taxes and who will be responsible for payment of taxes. Who will be responsible for the attorney fees. How your estate will be managed. 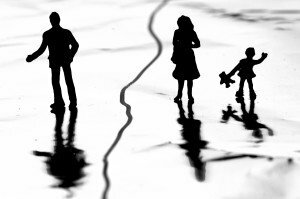 Before filing a divorce, which dissolves the marriage completely, especially when you have minor children, it is often wise to consider filing a legal separation first as a way to test if you really do wish to end the marriage. Are you an older couple where medical insurance and spousal benefits are important? Are you uncertain about forever dissolving your marriage? A trial separation could give you better insight into whether you wish to permanently dissolve your marriage through a divorce. Are you in a long-term marriage? Have you considered the cost and consequences of unwinding the community property? Is it worth the attorney fees, appraisal costs, and expert fees? Oftentimes, a separate maintenance has a clause that indicates that in the event the parties divorce after the legal separation has been granted, the obligations, duties, rights and responsibilities contained in the decree of separate maintenance (legal separation) will be incorporated by reference into the decree of divorce. It’s wise to do this since not having this clause in your legal separation could add to the cost of your divorce (if you ultimately decide to take this route) where all the issues would have to be re-entered in the final decree of divorce, instead of the decree of separate maintenance being incorporated into the divorce. You are free to include any provisions in your legal separation as long as they are in compliance in with the law and not against public policy. For example, in Nevada, parties to a divorce or legal separation cannot agree to lump sum child support because the Supreme Court has ruled against it. If you and your spouse reconcile after a legal separation filing and after the decree has been granted, the decree of legal separation will be terminated. 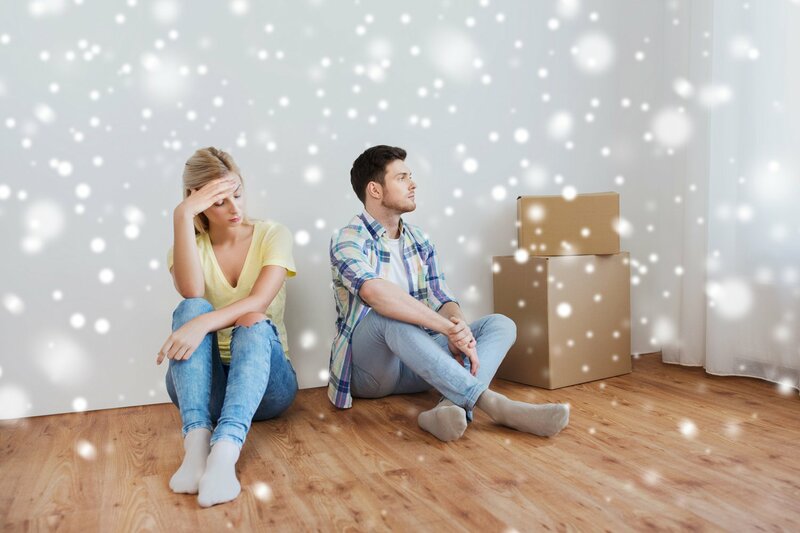 If you separate again, you will have to file a new legal separation, unless the first decree contained a provision that the first decree of legal separation will continue in full force if you reconcile then separate again. My wife says she won’t’ give me a divorce. Do I have to stay married to her? No, you do not. Despite the fact that this hasn’t been true for a number of years, especially in Nevada where no-fault divorce has existed for a number of years, we still hear the question often. This misconception used to be true (hence, how it became one), back when a specific reason and strong proof had to be given to obtain a divorce in Nevada, but it’s no longer the case. Your spouse can make getting a divorce more difficult, prolonging the process, in a number of ways (avoiding service, sending you on wild goose chases for documents and old bank account statements, etc. filing motions that are essentially harassment, etc. ), but no Nevada judge is going to force you to stay married to him or her. I get to keep my house if I divorce in Nevada because I bought it before my marriage. Correct? Maybe. Maybe not. Nevada is a community property state, which means that anything owned in either spouse’s name alone still belongs with the community property assets, with some exceptions. For instance, if you owned the house before the marriage and used only your separate funds, earned before the marriage, to make mortgage payments and to handle the upkeep on the property and to make improvements, then yes, the house will go to you in a divorce. If any community funds were used to cover upkeep or to make improvements, the house moves into the realm of community property. It makes no difference if the mortgage or deed is held in the name of one spouse only. If you did use community funds for the aforementioned house expenses, your spouse would be entitled to half of the increase in value of the property since the time of your marriage. You would retain whatever down payment you made on the house before the equity is split. Community funds in the context of this answer are funds from a joint bank account, and any funds earned during the marriage by either you or your spouse even if they are in an account you do not share with your spouse. My spouse cheated on me. I’m going to get all of our property, correct? Not correct. Because Nevada is a no-fault state on divorce, it doesn’t matter at all who cheated and who didn’t; it’s not even looked at by the court when it comes time to divide marital assets. Yes, we understand you feel it’s unfair. We feel for you. Nevertheless, it’s still a fact around which there is no getting around. Even if your spouse cheated, he or she will receive his or her equitable share of the marital assets. You can always try to mediate this if you feel very strongly that you should get more of the assets than your spouse (mediation is a far superior way to handle property division in a divorce, whether or not cheating or any other wrong-doing took place), but if a Nevada judge gets to make the decision, the assets will be divided fairly between the two of you. I’ve been a stay-at-home mom throughout the marriage so I will get full physical custody of our children. This is a very common misconception. Again, because it used to be true. You could possibly get full custody of your children; however, Nevada family courts favor shared physical custody and are likely to grant each parent equal time with the children, unless the children are at risk of coming to harm in the presence of their other parent. Custody of the minor children: some people confuse physical and legal custody when they divorce in Nevada. Legal custody is the right of a parent to see a child’s medical and school records and to have a say about the child’s education and religious upbringing. No more, no less. A parent can have legal custody without having any physical custody at all. Physical custody determines which parent the child lives with, or states that a child lives with both parents, sharing about equal time between them. Typically, a parent who has either full or shared custody also has legal custody. There is also Sole custody, meaning that a parent has both legal and full physical custody, with the other parent having essentially no say in a child’s upbringing. In all of the above scenarios, visitation can still take place. In other words, a parent with no legal or physical custody rights could still be granted visitation. Finally, be careful before you ask for full physical custody unless you have a strong provable reason that your child would be endangered by their other parent. Family court in Nevada highly favors shared physical custody and is likely to see you as a trouble maker if you push for full physical custody without a really good reason. If we have shared custody, neither of us pays child support, correct? This is also a very common misconception. One party will typically still pay some child support to the other party even with shared custody. The court follows the formula below – you can read about this in more detail on our divorce with children page. John and Jane have one child and no reason to deviate from the Nevada statutory guidelines on child support. John’s gross monthly salary is $1000 per month, so his obligation to Jane for child support is $180 per month. Jane’s gross monthly salary is 800 per month, so she is obligated to John for $144 monthly for child support. I didn’t work during our marriage. I will get alimony for the rest of my life if I divorce in Nevada. Correct? This used to be true, especially for long-term marriages where the wife stayed at home raising the children and had not worked at all during the marriage. Courts are a lot less likely to grant life-long alimony to a spouse, unless it was a very long marriage, the other spouse never worked and is incapable of earning due to physical or mental disability. Otherwise, a judge might grant temporary alimony while the spouse that stayed at home retrains in a new career, or revives an old career. I heard I can get a divorce in Nevada in just one day. Not anymore. We do wish this misconception about divorce in Nevada would go away. We still get the question nearly every day despite the fact that this hasn’t been true for at least 10 years. Back in the 50’s when it was popular to get a divorce in Nevada because of the short residency requirement, yes, you could often get a divorce in Nevada in a day (after establishing residency). And even just 15 years ago, you could get it done in just a few days. What happened is that between budget cuts, the now much larger population of Nevada, and the many people who establish residency to get a divorce, family courts in Nevada have become overwhelmed. How long a divorce in Nevada takes depends in large part on how busy the court is at the time your divorce is filed. It also depends on how busy your divorce judge happens to be at the time he or she is assigned your case. Our office does get final decrees back from the court in just two or three days occasionally, but the norm is more like 7 to 10 days and even up to three weeks sometimes. All of the above timeline is based on a joint petition divorce (you both signed the divorce documents before filing the case). If you file a complaint for divorce, it will take 12-16 weeks or so if your spouse can be personally served and up to 26 weeks if publication has to take place. The best thing to do to dispel misconceptions about divorce in Nevada is to talk to your attorney about any concerns you have regarding any aspect of your divorce. Don’t assume and don’t just accept for granted what your friend who went through a divorce three years ago tells you. That person is not in the trenches every day dealing with divorce court and they don’t know the law like your lawyer knows it. Divorce with children always make the process more painful, and often more difficult. Too often, parents will put their children in the middle, sometimes without even realizing that they have done so, or without thinking of the consequences to the children. This then makes the divorce not only painful for the adults involved, but excruciating for the children, not to mention the long-term psychological damage they can suffer from having been forced to act as referees between their parents. Do not use them to deliver messages to you ex. Asking your children to say to your ex, for example, “tell your father (or mother) to not bring his girlfriend (or boyfriend) to your birthday party” puts them in an awkward position. They might have a relationship with that boyfriend or girlfriend and will feel confused and guilty about having to relay such a request. Don’t tell your child to ask his other parent for the money needed for a school project, allowance, or the pair of shoes you would have given him or her without discussion before the divorce. Your child can’t comprehend the money issues of adults going through a divorce and will only feel guilty about asking. They might even stop asking all together for things that are even urgently needed, like school supplies. Some kids have been known to start stealing them rather than have to ask for them. Do you have a new significant other in your life? Don’t ask your child to keep this information from your ex-spouse. And don’t ask your child to not tell your ex about your new relationship. This will put undue stress on your child and possibly put them in a position of having to lie. If your wife asks your child whether or not you have a girlfriend, your child shouldn’t have to debate whether or not to tell the truth. Don’t use your children as a sounding board for problems you are having with your ex. They don’t need to hear how your ex refuses to communicate about school issue and how her being late for every pick up or drop off is creating turmoil in your own life. This will make them feel like they have to take your side and make them feel disloyal to their other parent. They should be able to feel equally loyal to both of you , and not have to worry about getting their mother to pick them up or drop them off on time. Find a way to attend school functions even if you have a difficult time being with your ex. And, yes, it’s hard, but don’t stand on the other side of the room and avoid all contact with him or her. This will make your children feel embarrassed and anxious in front of their peers. It will also make them feel disloyal to both of you as they hang out first with you, then with their other parent separately. You were once married to this person and created a beautiful child with him or her. Unless there is a physical danger to you (and/or your child), find it within yourself to be somewhat together in the same room with your ex and be civil to one another for the short duration of these events. If you need help to accomplish the above, don’t be afraid to seek it professionally rather than put your children in the middle. A divorce is probably one of the hardest things you will go through in life, if not the hardest. There is no shame in needing help to make it through; just don’t get that help from your child. He or she will suffer emotional consequences from it. There are plenty of studies that demonstrate the emotional and psychological trauma endured by children put in middle by their divorced or divorcing parents. Even if you are not required to do so, consider taking a parenting class for divorcing parents. In Nevada, where such a class is mandatory before a divorce will be granted, it can be taken online. Our office will direct you to a class that is approved by the court. Clients often ask us why they have to take the parenting class. It comes up sooner or later in every conversation we have with divorce clients. We all have too much on our plates; that’s a fact. When we are going through a divorce, there’s even more to do, not to mention the stress it adds to your already over-scheduled day. So, who wants to add one more thing to their to-do lists by taking a parenting class, even if it’s online? First off, if you live in Clark County, Nevada and file a divorce here, it’s required by the court. Your divorce will not be granted otherwise. The court made it mandatory in the hope that it would remove bickering divorced parents from the very busy court calendar. Luckily, it’s now possible to take it online, so no driving, parking, and blocking out a particular time on a particular day. Just take it whenever you can fit it in, in the middle of the night even, if that’s what works best for you. You might feel resentful at being told by a court that you have to take it in order to get your decree of divorce, and this can affect how you receive the information. You might be tempted to take it in a hurry just to get the certificate you need, and you might not want to pay it much attention, but here’s why you should pay attention and give it as much time as it requires for you to retain the information in it and actually be able to use it later. Figure out how to see it as something valuable to you rather than just one more chore. Because it is valuable to you. Very valuable. Even if it’s not a requirement where you live, you should strongly consider taking it. Essentially, you’re trading the three to five hours it will take you to go through the course against possibly hundreds of hours of frustration with your ex (depending on how long you’ll co-parent your child(ren) with him or her), as well as saving your children from emotional damage associated with putting them in the middle. o Learn to not play the “loyalty” game with your children. Your children love both of you and should be free to be loyal to both parents. Think of the time and aggravation you’ll save yourself by simply having the tools to deal with potentially explosive situations with your ex and weigh it against just a few hours of your time now. We think you know the answer now as to whether or not you should take the parenting class when you divorce in Nevada. children and wish to obtain either full or shared physical custody, it is best, if it is safe to do so, that you not move out of the marital home. We had a client whom we’ll call Wayne whose wife had moved out of the home and went to live three blocks away at a friend’s home for the duration of their divorce because, as she apparently told our client, “I can’t wait to get away from you.” Well, this divorce took two years to finalize due to a lot of paperwork coming at us from wife’s attorney, many motions filed, and a packed court calendar. Though our client’s wife remained involved in their three children’s lives on a nearly daily basis, they never spent the night with her due to a lack of space at the friend’s house. Essentially, they were living with Dad, our client, full time. When it came time for the judge to make a decision on physical custody, it was easy enough for us to get the judge to grant our client full physical custody because the judge was naturally reluctant to uproot the children from Dad’s house for several days each week. Wife was told by the judge to get her own place and have the children spend her visitation weekends there with her and ask again in no sooner than six months about changing to a shared custody arrangement. Wife lost out on her desired shared custody because she was too quick to leave the marital home. So, unless you are in immediate danger, it might be best for you to bite the bullet and stay put. If you do leave because it is not safe for you to stay, be sure to get all of your important financial documents and records and take them with you. It’s even more crucial to do this if you are forced to leave the house by the court or the police. If this occurs, you are not likely to be allowed back in until after a court hearing, if at all. The next thing to do, if you are moving out and your children are staying in the marital home, is to find a place to live nearby. When the judge decides on physical custody, you are a lot more likely to win shared physical custody if the children’s school and extra-curricular activities’ schedules will not be disrupted by going from one home to the other. Be sure to have your children spend time with you overnight as much as possible in your new home so that you are already following a semblance of a shared parenting schedule when you get to your day in court. The judge will want to know that the standard of living for the children in your new home is similar to what they are accustomed to in the marital home. It’s sometimes a tough decision to make, but if there is any way possible, it’s probably best to stay in the marital home until everything has been decided. 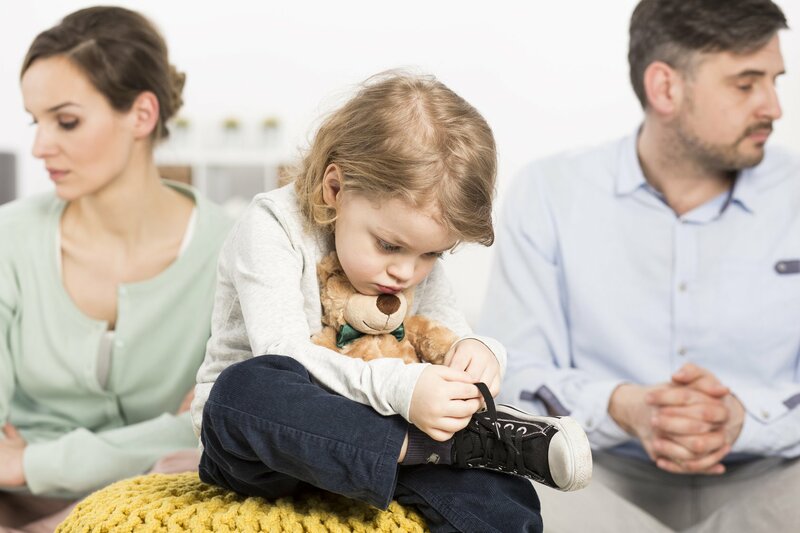 If you have children under the age of 18 with your current spouse, and the children reside in Nevada with you, they must have resided in the state for a minimum of six months before Nevada District Court Family Division will take jurisdiction over them, in the event of a divorce. There is some confusion over this because you, as a party to the divorce, are considered a Nevada resident after living here consistently for six weeks and you can file a divorce at that point. At the six-month mark, Nevada is considered the “home state” of the children and the Court will pass rulings on physical custody, visitation, and child support. What prevents the court from taking jurisdiction over the children until they have lived here for six months is the Uniform Child Custody Jurisdiction Act (UCCJA). This came into effect in 1968 and by 1981, it had been adopted by every state in the U.S. This law was designed to discourage parents from taking their children to another state without the permission of the other parent, as was happening on a frequent basis in divorce situation, creating confusion, not only for the children, but for the courts who had to make rulings on the residency of the children involved. As you can read here, http://bit.ly/1sgcaY1, the UCCJA operates upon novel principles that 1) establish jurisdiction over a child custody case in one state; and, 2) protect the order of that state from modification in any other state, so long as the original state retains jurisdiction over the case. If a non-custodial parent cannot take a child to another state and petition the court of that state for a favorable modification of an existing custody order, the incentive to run with the child is greatly diminished. There are exceptions, however. 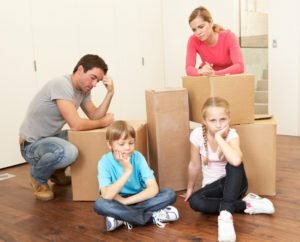 Did you move to Nevada with your minor children less than six months ago and are now divorcing? Is the safety of a child at stake because of bad behavior on their other parent’s part? If so, Family Court here can make an exemption to the six-month residency rule in a Nevada divorce and the residency of minor child. If you are able to show an emergency as defined by Uniform Child Custody Jurisdiction Act, a Nevada judge could make a ruling over your child(ren) who have resided in Nevada for less than the required six months. This could be either a temporary, or permanent ruling. Understand that such cases can become complicated. In order to protect your children’s rights and your own rights, you should retain a highly-experienced family law attorney well-versed in divorce and child custody law. The main proof comes in the form of an Affidavit of Resident Witness. The individual who signs this sworn Affidavit in front of a notary must be another Nevada resident who knows you to have lived in Nevada for a minimum of six weeks before the date your divorce is filed. This can be a friend, relative, co-worker, landlord, employer or employee, just anyone else at all who is a Nevada resident and is willing to sign this affidavit. If you are moving to Nevada not long before you plan to file a divorce, be sure to make some friends in your neighborhood or at work. You will need your resident witness to sign an affidavit that states that not only has he or she known you to have lived in Nevada for 6 weeks, but that he or she sees you three to four times per week. If you have children and they live here with you in Nevada, they must reside here for 6 months before the Court will exercise jurisdiction over their custody and visitation. Do I have to change my driver’s license to Nevada before I sign my Nevada divorce documents? The Department of Motor Vehicles (DMV) does require that incoming residents trade in their out-of-state driver’s license for a Nevada driver’s license before the first 30-day period of residency has expired. However, we are working for you and not for DMV so if you provide us with sufficient photo identification and evidence that you actually now reside in Nevada we will notarize your signature reminding you that you are under oath. The Court generally does not ask to see your driver’s license unless you must make a court appearance in your divorce. If you cannot obtain a driver’s license DMV issues a state identification card which will be sufficient. If your divorce is uncontested, it’s highly unlikely that you’ll have to appear in court and show as much proof of your residency, though it has occurred in the past. However, if the divorce is contested and your spouse challenges your residence then you will have to come up with other proof that you moved here for a legitimate reason (work, family, etc.) and have the intent to remain. Your divorce documents will state that, at the time you sign your divorce documents you have the intent to remain in Nevada after your divorce. Your Affidavit will state that it is still your intent to remain in Nevada for an indefinite period of time. The court has nothing to say on the fact that you might change your mind afterwards. However, this does not mean that you can come to Nevada, spend 6 weeks here, sign your divorce papers and leave town. You would be advised to remain in Nevada at least until your uncontested divorce is granted. 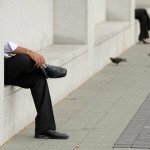 There have been many instances in the recent past where Immigration officer have questioned the validity of Nevada divorces obtained to benefit parties in an Immigration case. Our office had a case where there was a paralegal company in New York City advertising Nevada divorces and gave out inaccurate information on residence. 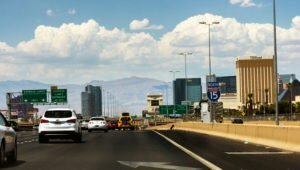 When an immigration application for a visa was filed after the Nevada divorce was granted, the immigration officer wanted much more evidence of the applicant’s Nevada residency than just a cousin’s affidavit that he had seen the client in Nevada for 6 weeks. If immigration suspects fraud by a non-citizen they can abort the immigration application and deport a person or not allow them reentry in to the country. The term, legal residence, applies to the place a person spends most of his or her time and is the home that is recognized as yours by law. For instance, you have a driver’s license issued by that state, and/or you claim Nevada as your home state on your tax filings, and/or you claim Nevada as your home state on your LES if you are military. Residency as a legal term has different meanings in different contexts in the law. Also different jurisdictions define residency in different ways because of different laws. Some people consider themselves to have two residencies, especially when they have a second home. A deployed member of the military may be a permanent resident of Nevada even if he or she has been in Iraq for the past two years. Bankruptcy may require that you live in Nevada 6 months before you file whereas you only have to live in Nevada 6 weeks to file for divorce. Context is everything when it comes to legal residence. You’re married with children and have become accustomed to leaving the state with your children, without their other parent, on a regular basis to visit family, friends, or for vacations, or just because. You are now facing a divorce with the other parent of your child(ren) and you want to move to another state or country to be closer to family, or because of a great job offer. The glitch is that by Nevada law, the rules on your comings and goings from the state with your children have changed once a divorce has been filed. It comes as a surprise to some that they cannot leave the state with their children without the permission of either the other parent of their child(ren), or of the judge in the form of a court order. If you leave the state before a divorce action has been filed, it is assumed that the permission of the other spouse was obtained. There are no assumptions anymore once a divorce has been filed by either of you, even if you filed a joint petition divorce. If the child(ren)’s habitual state of residence has been Nevada and you do relocate to another state, or country, with your child(ren) before a divorce action has been filed and your spouse then files a Complaint for Divorce asking for physical custody, a judge might well order the children back to Nevada, especially if it appears that the intent behind the move was malicious towards the other parent rather than moving because of work or to be nearer to family for help with the child(ren). A court of this state which has jurisdiction pursuant to the provisions of this chapter to make a child custody determination may decline to exercise its jurisdiction at any time if it determines that it is an inconvenient forum under the circumstances and that a court of another state is a more appropriate forum. The issue of inconvenient forum may be raised upon motion of a party, the court’s own motion or request of another court. If a court of this state determines that it is an inconvenient forum and that a court of another state is a more appropriate forum, it shall stay the proceedings upon condition that a child custody proceeding be promptly commenced in another designated state and may impose any other condition the court considers just and proper. If you do move out of the state with your child(ren) and with your spouse’s permission, and no divorce is impending, it is best and safest for you to get that permission in writing, preferably notarized, in the event a divorce follows later. For your best course of action if you find yourself in a divorce situation and need to move outside Nevada with your minor children (under the age of 19), if your spouse will not give you written permission, is to contact your attorney for advice.